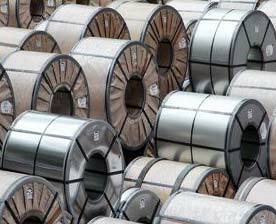 We are one of the leading Exporters and Suppliers of Electrical Steel (CRGO) in Pohang, Korea. The Coils that we offer are manufactured using high-grade raw materials and metals ensuring the best quality and durability. Our Product has wide industrial applications in various sectors. Corrosion resistant and robust construction are some of the main attributes of our Coils. We can provide CRGO Product at the most reasonable prices in the market.